KBShimmer Thrust Issues, 3 coats plus top coat. Formula was a little thick but still workable. I used this tutorial for using the magnet, it worked better on some nails than others. I think I just need to practice the technique. China Glaze Mega Bite, 3 coats plus top coat. Sheer and thin but pretty! I’m obsessing over my magnetic polishes I bought from KBShimmer so I paired it with an old China Glaze that I picked up awhile back from a local beauty supply store. Then I wanted to fancy it up a bit, so dug through my stash for this mix from Crystal Parade. I think it works quite nicely! Click through for more pictures. 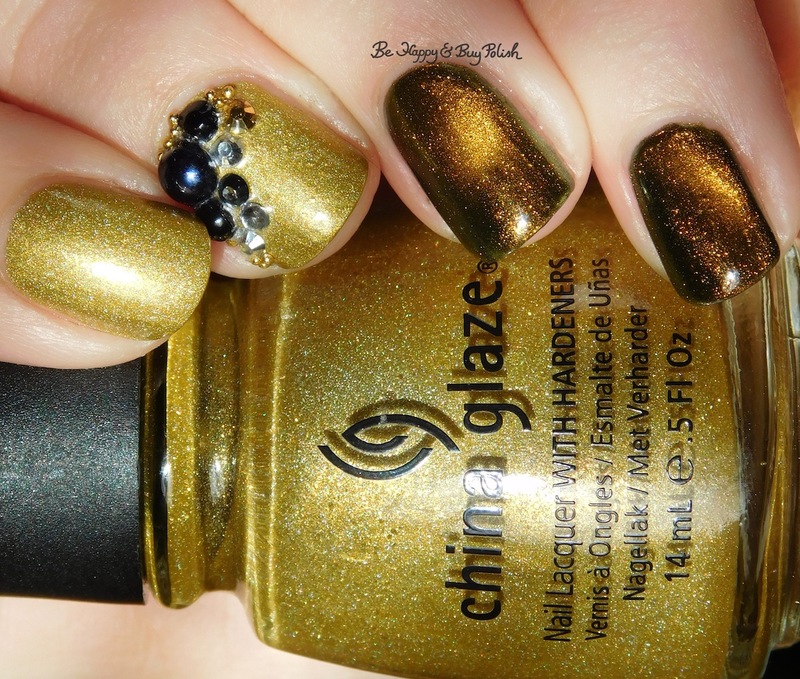 Don’t forget to check out #vintagepolishfriday at Of Life and Lacquer and on instagram! I love Mega Bite! It looks so great with the rest of your mani. 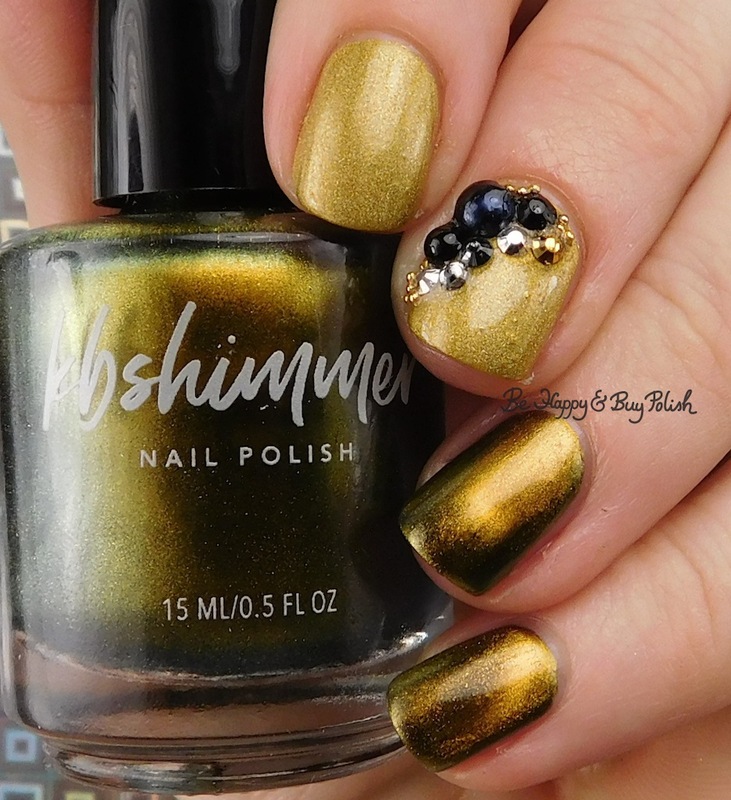 Aren’t the KBShimmer Magnetics amazing? I have a super hard time getting a cat eye effect, but on Friday I bought this hella strong magnet so I’m going to give it another shot. I love them so much. I’ve used 7 of the 8 and the last is going on my nails tomorrow! Good luck with your new magnet.